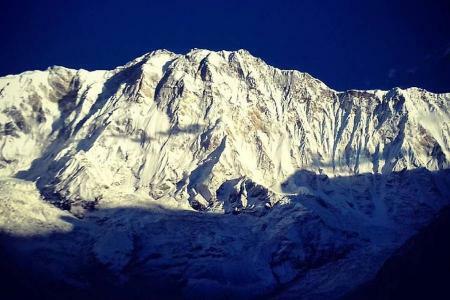 The name Manaslu (8163m) comes from the Sanskrit word Manasa which means Intelligence or Soul. 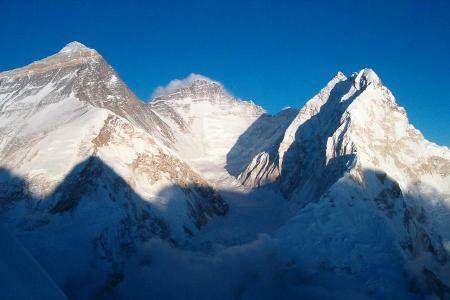 Mount Manaslu was first summated by a Japanese expedition group in was summated in 1956. This Japanese team completed the first serious endeavor to ascend the peak in 1953 from the Budhi Gandaki valley. Mt Manaslu expedition is considered as one of the most technical expeditions in Nepal which is located in the central region of Nepal in the Gorkha range. Mt. 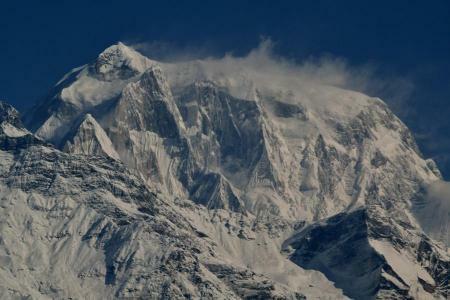 Manaslu is the eight tallest peaks in the world. The name Mt. Manaslu has been derived from the Sanskrit word “Manasa” which means Intellect or Soul. While ascending Mt. Manaslu, usually 4 high camps are set on the way prior to reaching the peak. Crevasses that can be witnessed between Camp I and Camp II and storm threat from Camp III to Camp IV are prominent in mountaineering the peak. 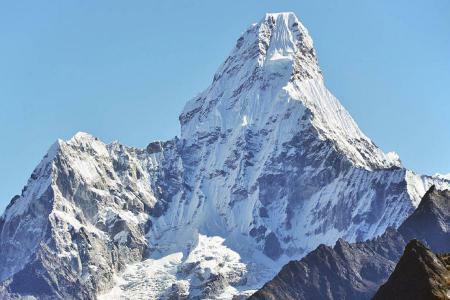 Currently the climbers are much more attracted to ascend this beautiful peak and from the apex of the mountain, you can observe many paks of Ganesh Himal, Annapurna and more. The Unique Adventure International bestows 46 day Manaslu Expedition to let you have the best experience ever. We also offer proficient Sherpa guides to make sure the greatest probability of success. Passing all the way through terrace mid-hills of Nepal; explore local practice, way of life; go around Buddhists monastery and witness large numbers of panoramic Himalayan vistas. 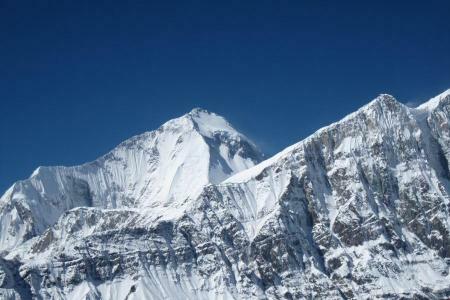 We will be setting three camps above the base camp before reaching at the top of Mount Manaslu. We will also have rest days for proper acclimatization in between while ascending the peak before taking first expedition to Manaslu glacier. The climb commences after we pace on to Manaslu glacier. The path here will be profoundly crevassed. Moving ahead, we will reach the camp I which is located on a secluded shoulder at the top of Manaslu glacier. Also, there are fixed ropes which are necessary on most of the path on the way between Camp I and Camp II. Camp II is located in the flat location safe of threat though the site can have heavy snow amassing. This is supposed to be the most challenging section of the Manaslu peak climbing. The way now constantly moves up all the way through the upper glacier to reach Camp III. Camp III falls on a flat saddle laying just beneath the col here you may experience strong storms. While ascending from Camp III to Camp IV we will walk up the glacier knitting through some vertical sections of snow and ice where fixed ropes necessary. 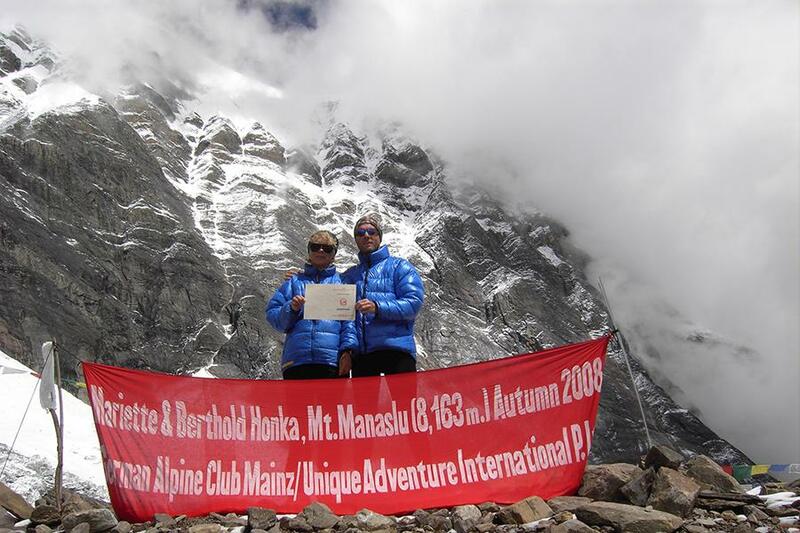 As soon as you arrive at Camp IV you’ll move toward the summit of the Mount Manaslu. The peak is reached with one of the challenging traverses for less than 100 m in linear distance. On your arrival, our representative of Unique Adventure will welcome you at Kathmandu International Airport (TIA) but make sure about our representative with a display board at the arrival gate. You will be then transferred to the hotel. We can either relax in the afternoon or hang around. You will have a dinner in a traditional Nepalese restaurant where we take pleasure in a Nepalese cultural program as well as food. Overnight at hotel. You will stay in Kathmandu for 2 days. You will be described about your trek and then complete some official procedure. Also, make all the preparations essential for trek. Overnight at hotel. Day 05 : Drive to Gorkha, overnight at tented camp. We will drive from Kathmandu to Gorkha, the ancestral place of the Shah Dynasty and home for the original Gurkha soldiers. Alternatively, you can visit the Gorkha Palace constructed in 17th century which encompasses a temple and fortress. The sight of Manaslu range is just outstanding from here. Day 06 : Trek to Khanchok, overnight at tented camp. Day 07 : Trek to Khursani Bari, overnight at tented camp. In order to arrive at Khursanibari, the track moves steady uphill and downhill all the way through forest of Chilaune, sal and other local floras. Khursanibari is a pleasant village located on the shores of the Budhi Gandaki. Overnight attented camp. Day 08 : Trek to Machha Khola, overnight at tented camp. Today we will see the rice field and explore local village and their culture on the way to Machha khola (Fish River). Machha khola is located above a river with the same name of Budhigandaki. Tonight we will stay in a tented camp. Day 09 : Trek to Jagat, overnight at tented camp. Today we will climb to Dhunge Patti for around an hour and after that walk to Pisker (1760m) through Aklaigaon. We will have our lunch at Pisker and then move to Jaljale. Go up for around an hour again to reach at Dang Jhale (2450m) then ultimately you will reach Jagat. Overnight at tented camp. Day 10 : Trek to Nyak, overnight at tented camp. Day 11 : Trek to Prok, overnight at tented camp. Day 12: Trek to Namru, overnight at tented camp. Day 13 : Trek to Lho, overnight at tented camp. On the way to Lho, today the mesmerizing views of Manaslu and Ngadi Chuli appear before you. We will set up camp in Lho, pleasant village adorned with many prayer flags, in the area of a small lodge and monastery. Sunrise and sunset from the camp are magnificent. Overnight at tented camp. Day 14 : Trek to Sama Gaun, overnight at tented camp. Today, from Lho the will take us to new monastery and then ascend to the serene Tibetan settlement, Shayla with amazing peak landscape. Then, we will walk through the archetypal alpine forest leading us to Pung Gyan monastery and finally leads us to the 500 years old village, Sama Gaun. In the afternoon, you can move up to the old monastery settlement over town, and stroll on the streets of the captivating Sama Gaun village. Overnight at tented camp. Day 15 : Trek to Manaslu Base camp, overnight at tented camp. Day 16 - 42 : Climbing Period. 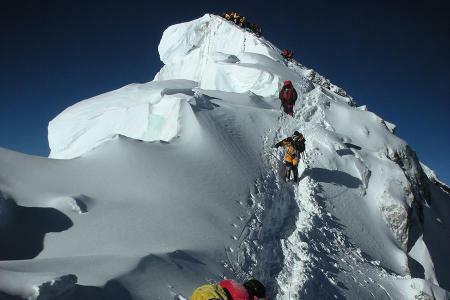 We need to climb for 26 days in order to reach at the top of the Mount Manaslu. We will be setting three camps above the base camp before reaching at the top of Mount Manaslu. We will also have rest days for proper acclimatization in between while ascending the peak before taking first expedition to Manaslu glacier. The climb commences after we pace on to Manaslu glacier. The path here will be profoundly crevassed. Moving ahead, we will reach the camp I which is located on a secluded shoulder at the top of Manaslu glacier. Also, there are fixed ropes which are necessary on most of the path on the way between Camp I and Camp II. Camp II is located in the flat location safe of threat though the site can have heavy snow amassing. This is supposed to be the most challenging section of the Manaslu peak climbing. The way now constantly moves up all the way through the upper glacier to reach Camp III. Camp III falls on a flat saddle laying just beneath the col here you may experience strong storms. While ascending from Camp III to Camp IV we will walk up the glacier knitting through some vertical sections of snow and ice where fixed ropes necessary. As soon as you arrive at Camp IV you'll move toward the summit of the Mount Manaslu. The peak is reached with one of the challenging traverses for less than 100 m in linear distance. Day 43 : Back to Sama Gaon, overnight at tented camp. We will return back to Sama Gaon this day, we will walk through the archetypal alpine forest and then depart from the 500 years old village, Sama Gaon the next day. Overnight at tented camp. Day 44 : Fly back to Kathmandu by helicopter. Overnight at hotel. Today leaving Sama Gaon, we will fly back to Kathmandu by Helicopter. Overnight at hotel in Kathmandu. Day 45 : Leisure day in Kathmandu, overnight at hotel. Today, we can go around Kathmandu valley, if some important places have been missed according to your choices. After the hectic schedules of trek, today you can either go for shopping or have a day rest before departing from Nepal. Day 46 : Transfer to airport, departure on your own destination. This is your final day, our airport representative will drop you to the airport and you will depart from Nepal.